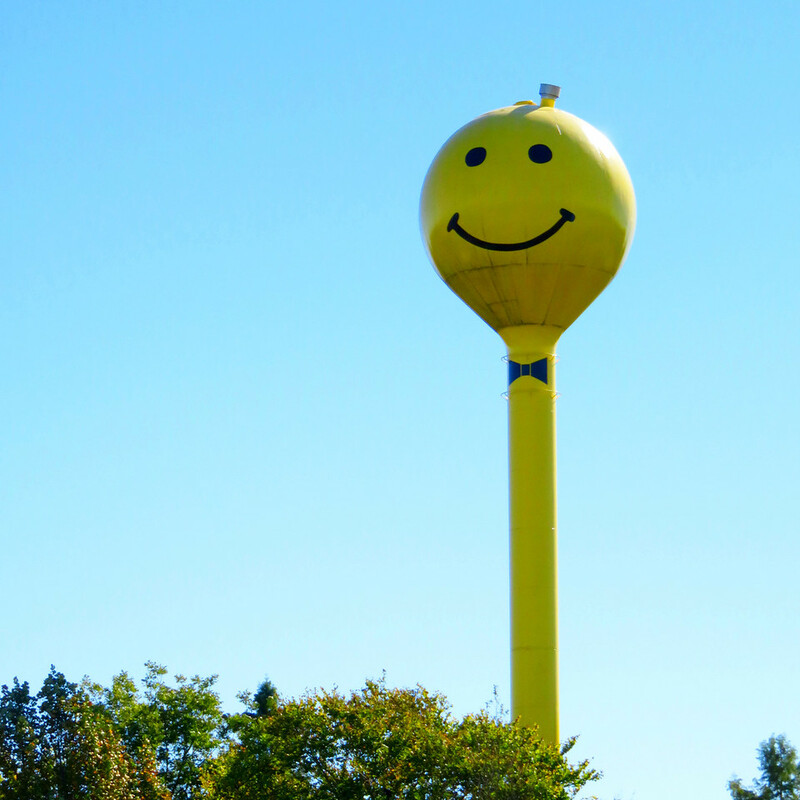 Do you live in the type of place that could have a smiley face water tower? I don’t. But I wish I did. 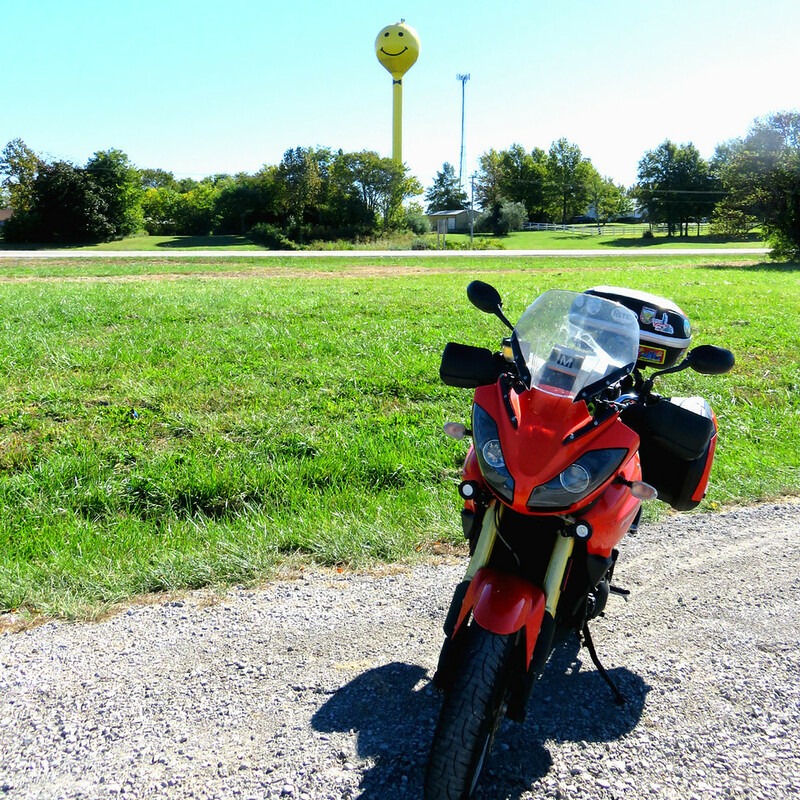 This tower was along my route from Metropolis to Springfield, Ill. in the town of Makanda. That bulbous knob with a smirk surveying the land has to do something for morale. Don’t you think? Seeing it for the first time, I found it was impossible not to smile back. He’s a seriously cheerful looking mo-fo. Little did I know, (until 5-seconds ago when I tried to figure out just where it was that I saw this water tower) there is a listing of known towns with grinning water towers. I feel like this is very important information!